The platform combines peer referrals with a forum-like format and surfaces products that are both intriguing and relevant to the tech-focused community. And while Product Hunt’s site may not look like much, it has amassed a large and active following, including key tech influencers, celebrities, reporters, and more recently, venture capitalists. Ryan Hoover, the founder of Product Hunt, actively cultivated the community in 2013 and is credited with building the foundation of Product Hunt on high-quality postings only. Anyone can submit products for review, but only a small percent of Product Hunt’s monthly visitors are allowed to post in discussions. Giving special access to media companies and tech influencers first, Product Hunt has been able to play the role of gatekeeper and hold its content to a certain buzzworthy standard. The combination of moderation and the community option to “upvote” posts, similar to Reddit, allows visitors to decide easily whether or not a featured product or startup is worthy of exploring. With the addition of social features such as the ability to follow other users, media access to direct message product founders, and the ability to curate product collections, Product Hunt may be leading the way for a tech PR revolution. Because the platform has become the ultimate spot for tech company founders to generate buzz about their products or services, reporters have flocked to “organically discover” interesting products and interact directly with the startup founders to write their stories, rather than sift through endless email pitches. 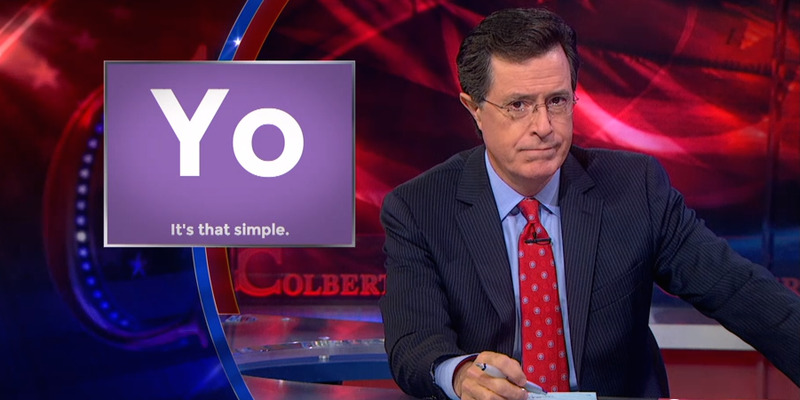 To see the true media power of Product Hunt, look no further than one of the largest Product Hunt launches ever for the simple messaging app, Yo, in 2014. The app originally appeared on Product Hunt and spurred a large, and somewhat debatable, amount of coverage in almost every technology publication imaginable. It’s also where Ship Your Enemies Glitter started out. Within 24 hours of the startup’s launch hitting Product Hunt and social media, it created a media frenzy and the founder, Mathew Carpenter, sold the website for $85,000. 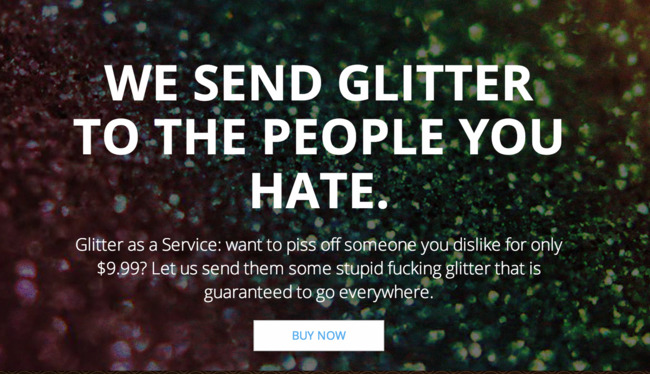 Many startups have tried to recreate the success of Yo and Ship Your Enemies Glitter and have turned to Product Hunt as the launching pad to do so. And the more products that receive media attention after appearing on Product Hunt, the more likely the platform will continue to grow. Now, instead of launching in the iOS App Store or tirelessly emailing TechCrunch reporters, many startups are releasing their products exclusively on Product Hunt first. The influential community conversation and feedback have proven to be a successful way of getting a new product off the ground and receiving widespread recognition at the same time. One collaborative email client, Front App, decided to launch the new mobile version of their app on three different channels: Hacker News, TechCrunch and Product Hunt. The team then provided an analysis of the results from each channel on their blog. 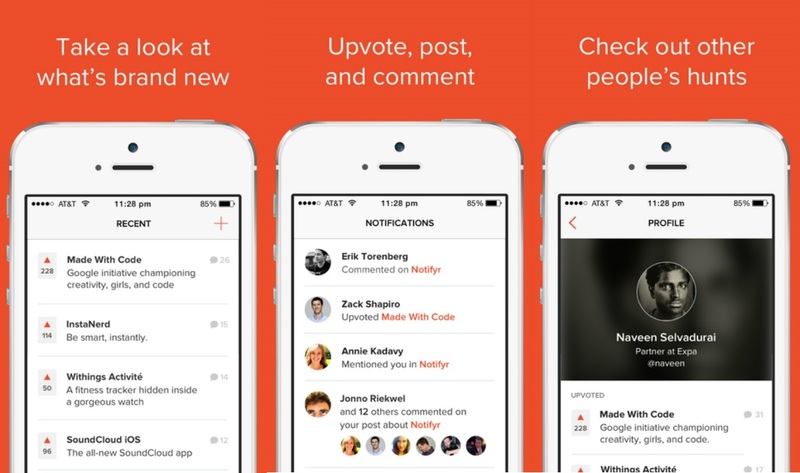 On Product Hunt, the app received more than 150 upvotes on launch day as well as investor interest. The team put together this SlideShare presentation, “Hacker News vs TechCrunch vs Product Hunt: which is most effective to launch your startup?” to share their results. It’s never been easier for product creators, or startup founders, to directly communicate with industry influencers and the press thanks to social media and platforms like Product Hunt. Members of the founding Product Hunt team also launched a weekly podcast series called Product Hunt radio to cover emerging products and all things tech. The series features thought leaders in both the tech and media industries and serves as another refreshingly creative outlet for new companies to amplify their voices. The disruption of traditional media communications continues to be an important space to watch. What other platforms do you see emerging and creating new ways for startup founders to connect with the media and amplify brand awareness? Share your thoughts in the comments.